Actor Ayushmann Khurrana made a promising debut in ‘Vicky Donor’, which went on to be one the biggest surprise hits of 2012. He followed it up with ‘Nautanki Saala’ and the disastrous ‘Bewakoofiyaan’. He returns to the silver screen in Vibhu Puri’s Hawaizaada, a half-fictional story of a man who built the first aircraft. ‘Hawaizaada’ is a story of a scientist Shivkar Bapuji Talpade (Ayushmann Khurrana), who is credited to have constructed India’s first unmanned plane. Shivkar, who always manages to embarrass his family, has an accidental brush with a beautiful girl Sitara (Pallavi Shrada). He falls head over heels in love with her. His father throws him out of the house for his haphazard lifestyle; he then assists Shastri (Mithun Chakraborty), who is secretly working on the idea of making a plane. The effort that the two put into making the plane translates into monotonously long sequences, which are boring and completely lack creativity. While the idea of an unachievable dream turning into a reality works in parts, the romantic track completely takes away the essence and soul of the film. Credit should go to director Vibhu Puri and cinematographer for making the film look beautiful. The music disappoints and the only track that stands out is ‘Dil E Nadaan’. Ayushmann is a natural talent and he does deliver a good performance. While his dialogue delivery is good, an actor who can fluently speak Marathi would have made a difference. Mithun is apt and provides able support. Pallavi is worse than she was in her debut film Besharam. She looks beautiful but cannot emote. Naman Jain, who plays Ayushmann’s nephew, is a terrific talent. He impresses big time. 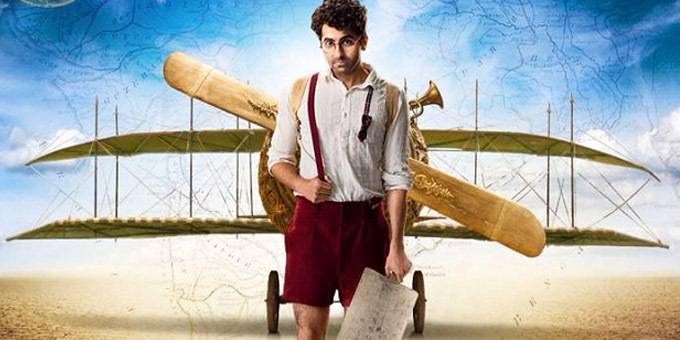 Overall, Hawaizaada is a honest attempt at making a film that probably had tremendous potential on paper. But the idea just doesn’t translate into a good film. In fact, Hawaizaade is one of the most boring film we have watched in a long time. 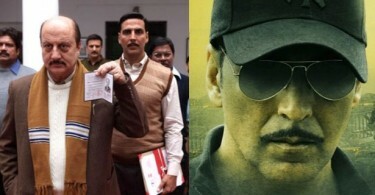 At the box office, the film will be one of the biggest disasters of 2015. If i am not wrong its director vibhu puri was the writer of Guzaarish.. I was going to watch this movie tomorrow. But now i will watch AI or I south movie becoz of ur review of hawaizaada. A film opens to 2 % percent response when in theatre of 100 people, only 2 persons are there. And these 2 persons might be indicine admins reviewing the film. Ayushmann is talented actor and he deserves that extra 0 , that is 20 percent opening. Anyways waiting for Mr.X releasing on 17th april. Much better than my superstar’s crap tevar. I watched it today wid baby nipun.he did not liked it,he said it is not classier like bang bang. Film was not looking interesting from any angle so failed to create buzz too,Ayushmaan is struggling very much.Luck is not his side. Waiting For #Roy & #Badlapur…. @indicine: Oops! I mean, it won’t star hrithik in it.. Sorry for mistake in typing.. Pls make an article. Comments bahut milenge..
Indicine: oops! I mean, it won’t star hrithik.. Pls an article on it..
That’s bad. I guess navin is still obsessed with Lootera. Illiterate fans of an illiterate star can’t be expected to understand classics like that.